In the fast-paced business world, it is hard to remember a time when things were ever simple. The intricate process of marketing has become, it seems, progressively more complicated in this whirlwind of an industry. Yet believe it or not, it did exist in simpler times. The transformation of the industry in its earliest form until today has been quite a journey. Although it has not been around quite as long as other business principles, marketing plays a huge role in today’s daily business culture. Though the concept vaguely existed in the 1700 and 1800s, development of the industry began to truly flourish in the age of advancing technology. Stemming from basic economic concepts such as price, demand, and incentive principles, marketing emphasizes connections between consumers and businesses, whereas economics focuses more on scarcity and its effects on society. Consumers were not considered to be important to marketers until the mid 1800s, and it was not until 1905 that marketing-related classes were offered at a university level. Ohio State University added a product distribution course to start off the program, and by 1921 offered another 14 courses in the field. It did not take long for other universities to follow this trend and offer the special business-related courses on their own campuses. Prior to 1950, there were more than 130 books on the topic of advertising alone, emphasizing the growing demands of marketing knowledge. Emerging in 1910, business admirers soon realized how important marketing research was to the field. Launching the first ever-recorded research study just a year later, Charles Coolidge Parlin started the ever-growing trend of using market research to improve business volume. Soon after, statistics, consumer audiences, and predictive techniques were factored into the sphere. With books, courses, and intellectuals buzzing about the new concept of marketing, it quickly developed in several directions. 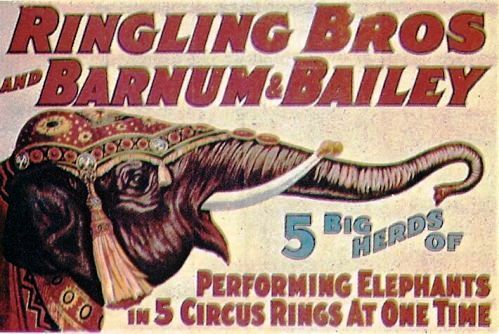 Billboards were used by circuses in the early 1830s. In 1891, today’s Outdoor Advertising Association of America was formed in Chicago. W.K. Kellogg’s first advertisements were printed in magazines and newspapers before 1910. In 1920, the first radio station in the US, KDKA Pittsburgh, broadcasted advertisements to its listeners. Sponsored by Goodrich Tires, the first hour-long radio show was aired on almost 10 stations in 1924. In 1930, Advertising Age was first launched as a broadsheet newspaper based out of Chicago. The first ever TV commercial aired on July 1, 1941 and advertised Bulova, a New York based watch and jewelry firm. During WWII, The War Advertising Council (now the Advertising Council) spent over $350 million in public service announcements. The unforgettable Marlboro Man debuted in 1955 (cigarettes were not determined hazardous to health until 9 years later). In 1966, Mary Wells becomes the first woman to head a major advertising agency—Wells Rich Greene. The Supreme Court granted First Amendment protection to advertising in 1976. In 1980, Ted Turner created CNN. USA Today launched in 1982. The launch of the Internet’s first web browser in 1993 became an unforgettable moment for all. With incredible historic milestones such as these past events, surpassing their success seems overwhelming. Sabre will help your business leave a lasting impression. Contact Sabre today to find out how we can give your business that unforgettable edge you’ve been searching for.